A mum-of-two has described not wanting to wake up in the morning because the Universal Credit benefits system often leaves her children without food. Debbie Brown says it is a frequent occurrence that her two kids - Callum, 15, and seven-year-old Chelsea - will go without an evening meal. 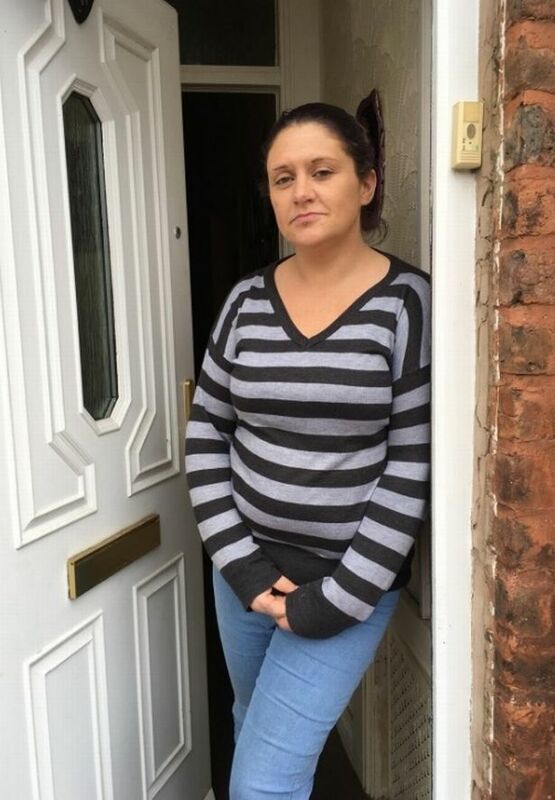 The 38-year-old, from Bootle, Merseyside, was among the first to be moved onto the six-in-one benefit system which is criticised for pushing people further into poverty. She used to work but has suffered with severe depression, anxiety, panic attacks and more recently agoraphobia - meaning she rarely ventures out of her home which she describes as "like a prison". And while she wants to recover and return to a normal life, she believes the amount of money being offered to people like her is nowhere near enough. In a moving interview, Debbie broke down as she described getting video messages from her daughter telling her to be strong. Debbie said her children were recently forced to share a small amount of porridge for their evening meal. She said: "Last night was an absolute nightmare, because my kids were telling me they were hungry and I couldn't do anything, I couldn't give them anything because I had nothing to give - I had nowhere to get money or food from. "We had a bit of porridge, I thought that was better than nothing. She said: "Sometimes it gets to the point where I wonder if its all worth it, I'm not going to get anywhere, its just the same thing week in, week out - its just a nightmare. "Sometimes I just wish I wouldn't wake up of a morning, that's how bad it has got. "And I feel sorry for the kids, its not their fault and I feel really guilty because I can't give them the things that they need." When it comes to Universal Credit, Debbie says the problems started right away. She said: "We've got to pay our own rent, council tax, water, TV licence - all these things come out of the money that you have to manage. Speaking about the impact it is having on her children, she admitted: "It breaks my heart. "My little girl sings songs on her tablet and sends them to me - she says 'I know you can fight this mummy'. "Its bad, my kids know I'm suffering and I'm trying my best - but I feel like I need to do something because I can't cope with it." "I want to go out to work, I want to be me again. I've always worked. "Everyday I've got nothing to live for or look forward to. I haven't got enough money to do anything - I want to be better, but I need help." On the issue of Universal Credit, a spokesperson for the Department of Work and Pensions said: "Universal Credit simplifies an out-of-date, complex system with evidence showing that under UC claimants are getting into work faster and staying in work longer. "Our research shows that many people join Universal Credit with pre-existing arrears, but the proportion of people with arrears falls by a third after four months in UC."